After starting with motherboard PCB design, the very next thing that needed to be done was designing the daughterboard slot footprint, which needed me to decide a depth of the daughterboard. I did not have a basis for deciding the depth, so I thought it is necessary to complete the daughterboard schematics and I completed the remaining daughterboard schematics yesterday and fixed a number of issues with existing schematics - 36 commits! I plan to start PCBs for other daughterboards to spread out components and see how much space they would require and decide a depth. After that I'll get back to motherboard schematics. Not sure if the LED daughterboard has a use, since the serial lines are no bidirectional we can't connect LEDs directly. 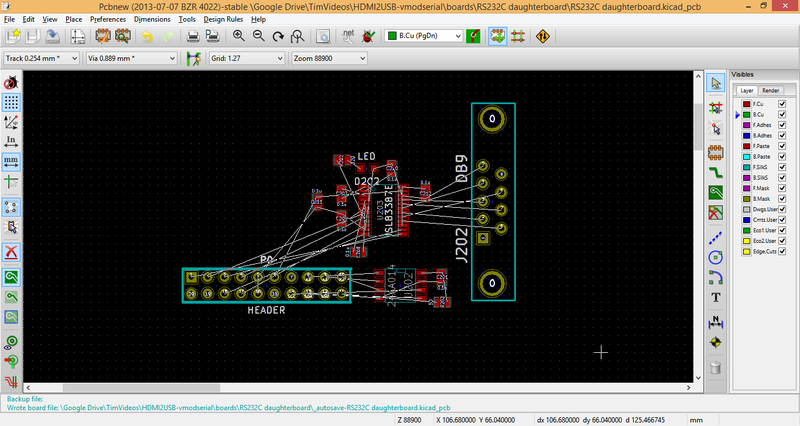 If it's done through a microcontroller we can probably use the GPIO daughterboard instead.